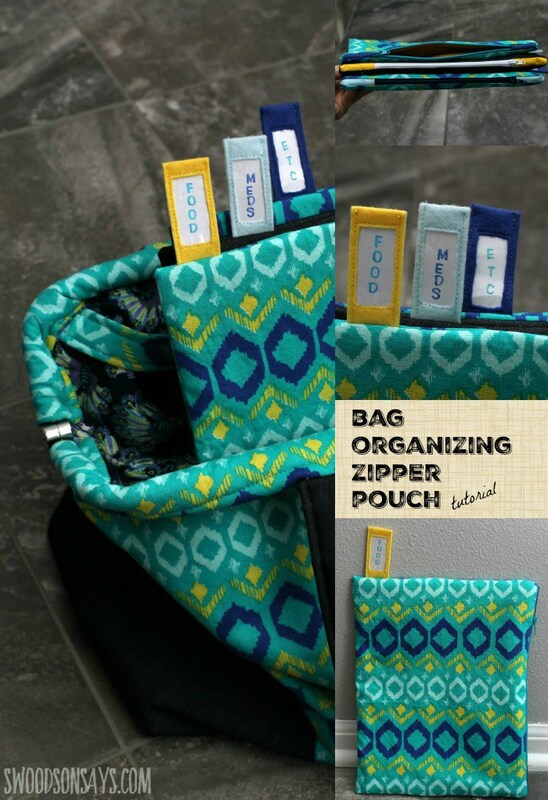 Use these 7 absolutely free zipper bag patterns to make cute and practical zipper pouches for you or your loved ones. 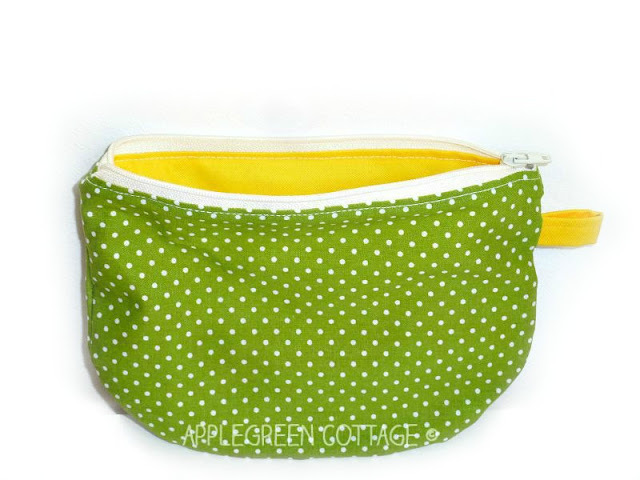 After I've made quite a few, including my all-time most popular (this polka dot pouch) I think it's a good idea to collect a few of my favorite ones in one place, that is here. 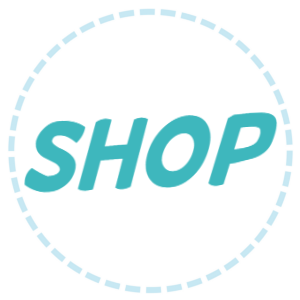 These are beginner sewing tutorials and patterns and great for a quick sewing project. And they make perfect DIY gifts, too! You know what they say: you can never have too many zipper bags. 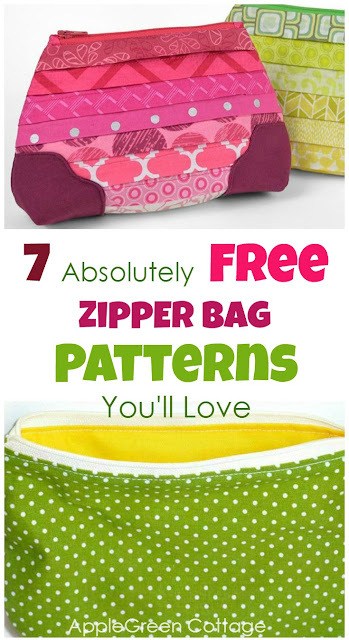 So I thought it would be fun to share a few free zipper bag patterns for inspiration. Have fun sewing! 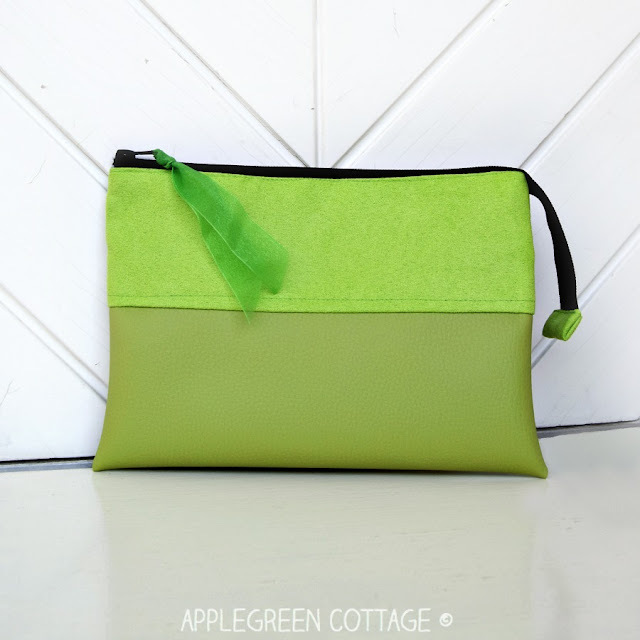 2) 10-Minute DIY Toiletry Bag - Easiest Upcycle Ever! 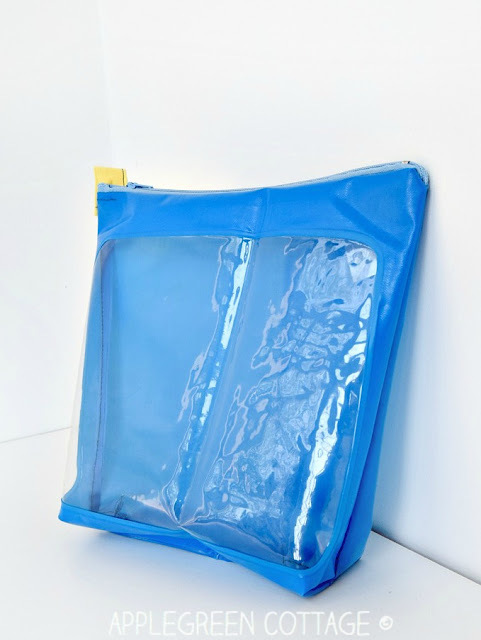 The easiest up-cycled zipper bag you'll ever make. Quick, too! 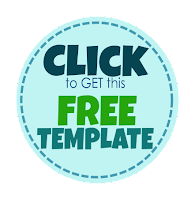 Grab your template and make one for yourself: tutorial link here. 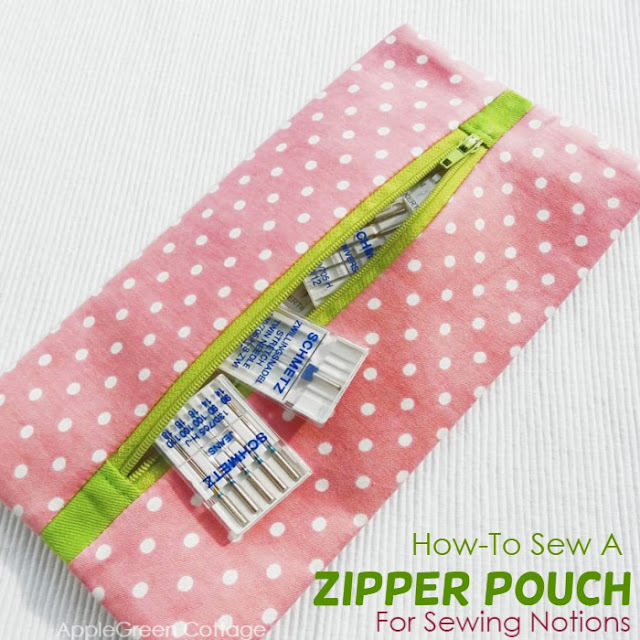 Perfect for your sewing room - make a few centered zipper cases for your sewing notions! Tutorial HERE. 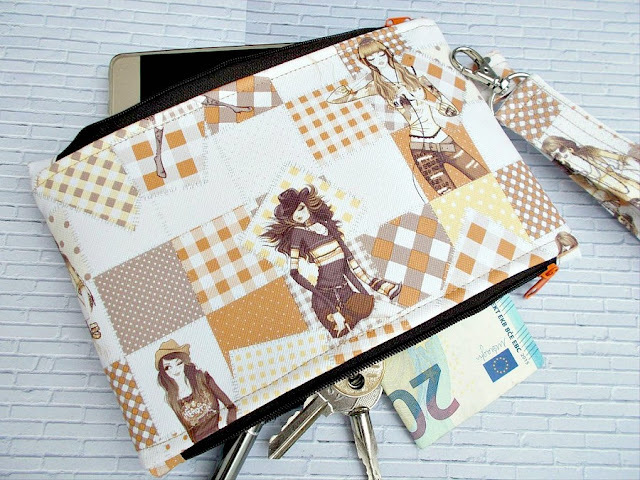 Pleated Patchwork Zipper Pouch by Sew Desu Ne? This zipper bag is special, with contrast corner patches and a body constructed of patchwork pleats. 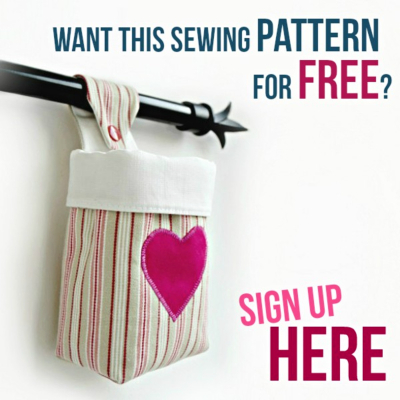 You'll love it, so grab the free pattern here! What a brilliant idea, this magic double-pocket pouch by Teresa Lucio Designs! I love it and need you to see it too, so head over to Craftsy and grab a copy of this free pattern. These stiff, easy-to-open organizing pouches can be used separately or as organizers in any bag. 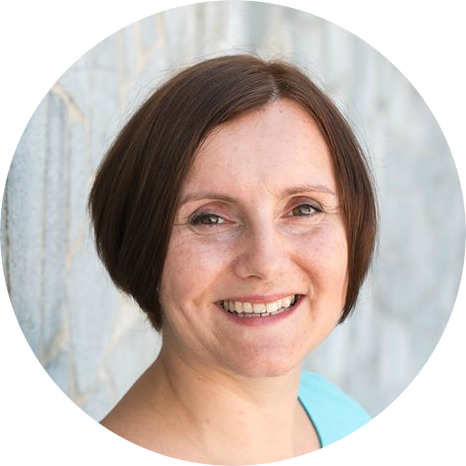 You'll even learn how to add a label - so practical! This is a great beginner sewing project. Easy and quick to sew, this will be a great gift - just think of all the color combinations you can choose! It's just the right size for pencils, or sunglasses, or an emergency set of sewing supplies for when you travel somewhere. 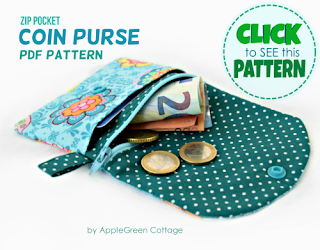 Or ...go straight to one of my currently most popular PDF patterns - the ZIP Pocket Coin purse. 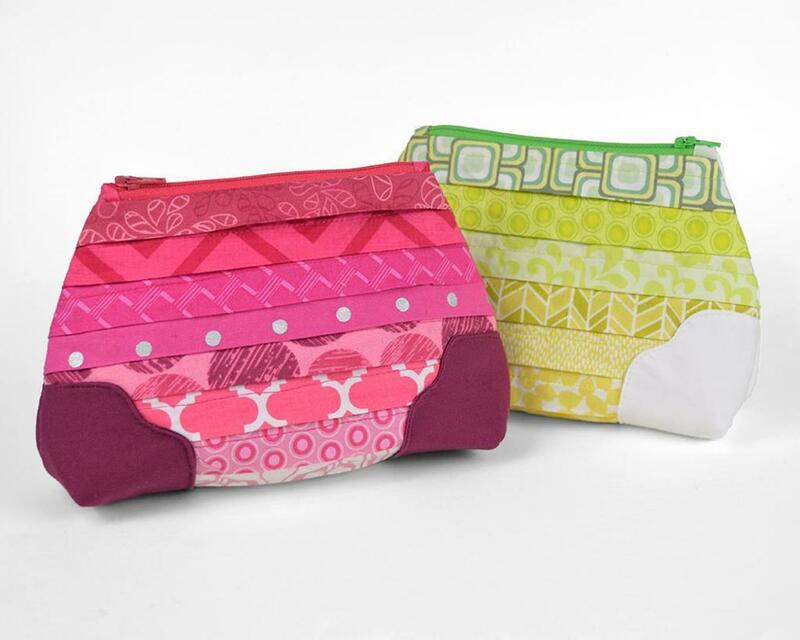 If you like zipper pouches, you'll love this one! Thanks for including my bag organizers, friend! Pinning!